The International Business Park (IBP) is a 517-acre master planned mixed-use business park in Concord, NC. IBP is home to about 30 different companies, including four Fortune 500 corporations and numerous international companies, including OILES (Japan), PreGel (Italy) and Schubert & Salzer Inc. (Germany). Located on the I-85 corridor at one of the busiest interchanges in the entire state, there are more than 3,000 people employed at companies within the International Business Park. Located within 10 miles of several major attractions, including Charlotte Motor Speedway, PNC Music Pavilion and Concord Mills. View the IBP interactive Master Site Plan. For more information or questions on leasing or sales, contact us. 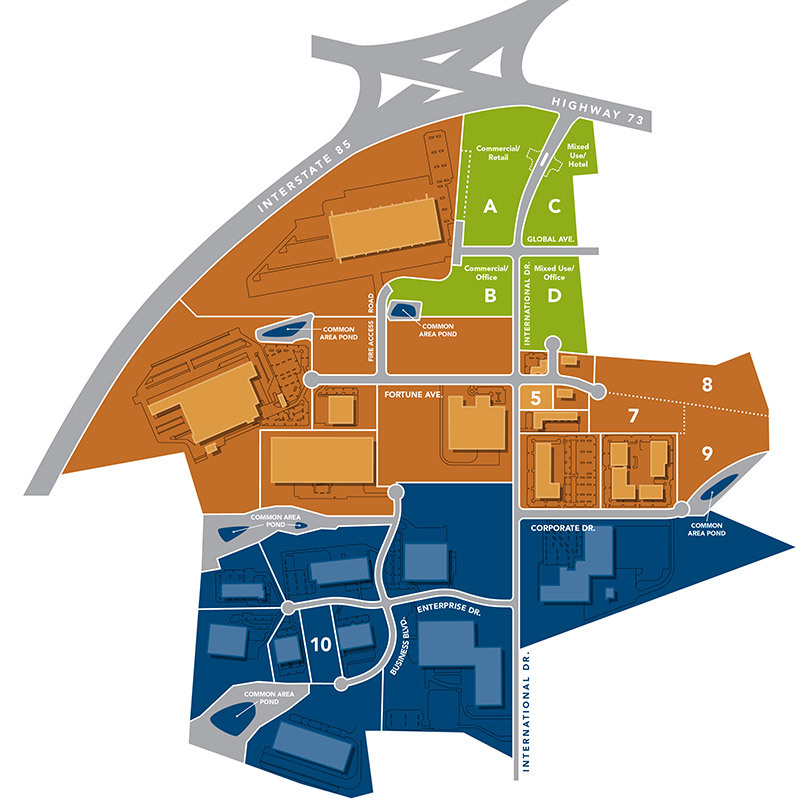 The International Business Park is served by multiple utility providers, including Duke Energy, PSNC Energy, Windstream, and the City of Concord. These organizations provide power, gas, telephone, direct fiber lines and other services to the firms located within the IBP.